Takamichi Hamada is currently serving as the President and CEO of the Tokyo Commodity Exchange (TOCOM) (2015-Present) after 14 years away from TOCOM. 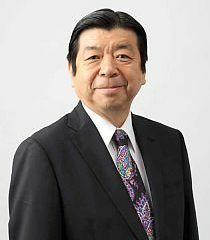 During his absence from TOCOM, Takamichi served as senior executive officer at Fuji Electric Holdings and as the chairman of Venture Enterprise Center. In addition, Takamichi has held many senior positions including first secretary at the Consulate of Japan in the United Arab Emirates, director of energy policy planning at the Director-General’s Secretariat of the Agency of Natural Resources and Energy, director general of the commerce, industry & labor division at the Kagoshima Prefecture Office, and deputy director-general at the Industrial and Science Policy Environment Policy Bureau (METI). Takamichi graduated from Tokyo University with a degree in Economics.